Garlic is a Gift for the Soul! By request from my friends, I am happy to share one of my kids favorite recipes. Okay, before you start gasping, this is delicious and the garlic is very mild when prepared according to the recipe. This was adapted from a recipe from The Stinking Rose Restaurant in San Fran… go there if you ever get the chance. 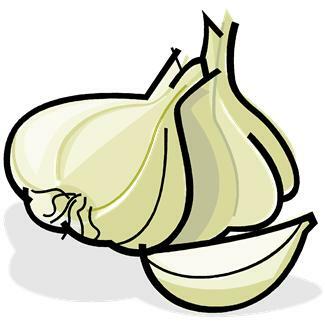 40 to 100 or more peeled garlic cloves (easy when purchased in pre-peeled pack). First, lightly salt and pepper chicken and brown in heated oil in a large flat skillet. Remove from heat when golden brown on both sides but not cooked. Add garlic to oil and constantly stir for about 5 minutes to coat with oil and lightly brown/roast garlic cloves. Pay special attention not to brown or burn garlic. Add rosemary and chicken back to pan and cover chicken with broth and wine. Lower heat so that it bubbles gently, cover and cook for 45 minutes. Remove chicken to plate, raise temperature and cook broth/wine mixture for 10 minutes on High to reduce. Place reduction into blender and very carefully blend garlic/broth mixture. Use caution when blending hot liquids – use the toggle switch to turn on very briefly and then allow pressure to be released through lid so that you are not scalded by this mixture under pressure. Return to pan after thoroughly blended, add cream to taste, cook gently on medium until thoroughly blended and thickened. Return chicken to sauce and you are done! I serve this with Risotto Milanese (will share that one next) and a fresh salad or green vegetable. Your family will love it and you will not have to worry about Vampires for weeks! Who cares? It is that yummy!